The Facebook profile photograph of Sovan Somalin. After a visit to see her family in Preah Vihear province for the first time in nearly a year, 18-year-old Sovan Somalin opened the door of a shared taxi to begin the daylong journey back to Bavet City, where she worked at a casino. She called her family once around noon to check in. Later, at about 5:30 p.m. on August 2, her mother phoned to see how the journey was going, and the 18-year-old told her that the driver had turned down a tiny road. It was the last time her family ever heard from her. Her parents called again and again, worried sick, and asked the police to look into her whereabouts. Her body was eventually found in a rice field, face down and tied to a rock. She had been raped and killed. 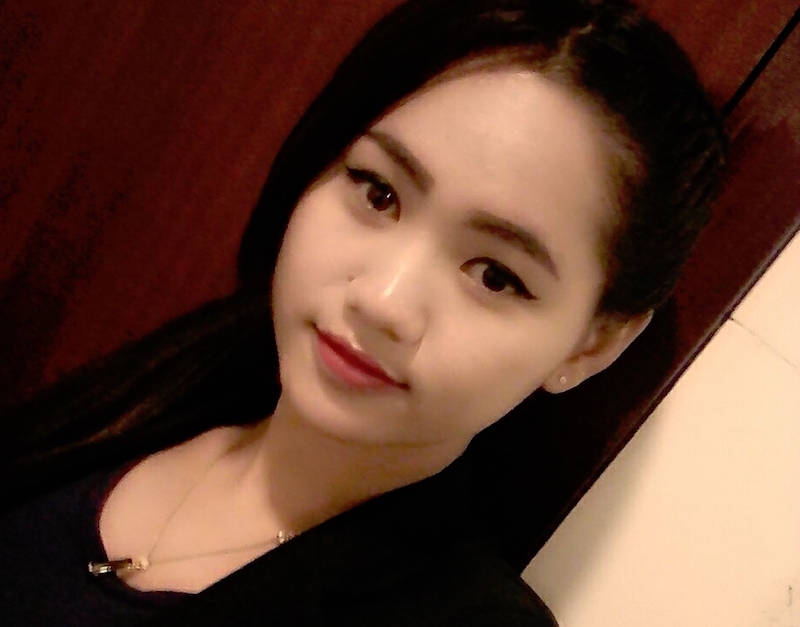 On August 8, six days after she went missing, two men, Chhoeuy Socheat and Phlek Sony, were arrested for the alleged crime. Activists quickly began to gather an online petition seeking his apology, and Mr. Rithy returned to his show on Monday with an apology—which the activists rejected, saying he was only trying to defend what he had said. On Wednesday, the group of activists submitted an open letter to the information and women’s affairs ministries as well as Hang Meas TV. The Women’s Affairs Ministry, however, rejected the letter because it did not include the signature of a representative or the thumbprints of signatories, according to Ou Tepphallin, vice president of Cambodian Food and Service Workers’ Federation, who was involved in the drafting and distributing of the letter. On Wednesday, Mr. Rithy offered to meet with the activists responsible for the open letter in a roundtable discussion and invite any debate from the information and women’s affairs ministries. “I want to meet with them very soon,” Mr. Rithy said, claiming he already fulfilled the activists’ original request by apologizing on live television on Monday. His female co-host, Ros Sotheavy, who was also involved in the on-air discussion, saying that women should not put themselves in jeopardy by traveling alone in taxis, said on Wednesday that she would apologize to Sovan Somalin’s family—if requested. As the controversy unfolded elsewhere through the week, Sovan Somalin’s family simply grieved. They spoke to a reporter on Tuesday about the loss of their daughter, and said they were unaware of both Mr. Rithy’s comments on TV and the petition that had started in her name. Sovan Somalin’s uncle Min Ry said the family had not considered any complaint against the TV station or presenter. Having just held his niece’s funeral, the family was in a period of mourning, he said. Ms. Srey Lot said her daughter had graduated from high school in 2015 and had never even had a boyfriend. She was the oldest child in a family with two young brothers. Though she was unaware of the comments made about her daughter, she said that any disparaging commentary after the tragedy was heartless and unacceptable. “My daughter died horribly. My daughter was beaten and tortured. It is unacceptable that some people blame her,” Ms. Srey Lot said.